A low budget project for a small residential community in Houston, provides changing and equipment storage areas. 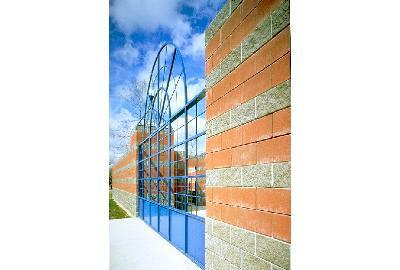 A simple organization of banded concrete block walls form enclosures for privacy and provides a sense of entry to the pool and the community park. A canvas covered pavilion provides shelter from rain or sun.